Today, we at Techwarelabs had an exclusive meeting with a new name on to the iPhone case and external battery market. 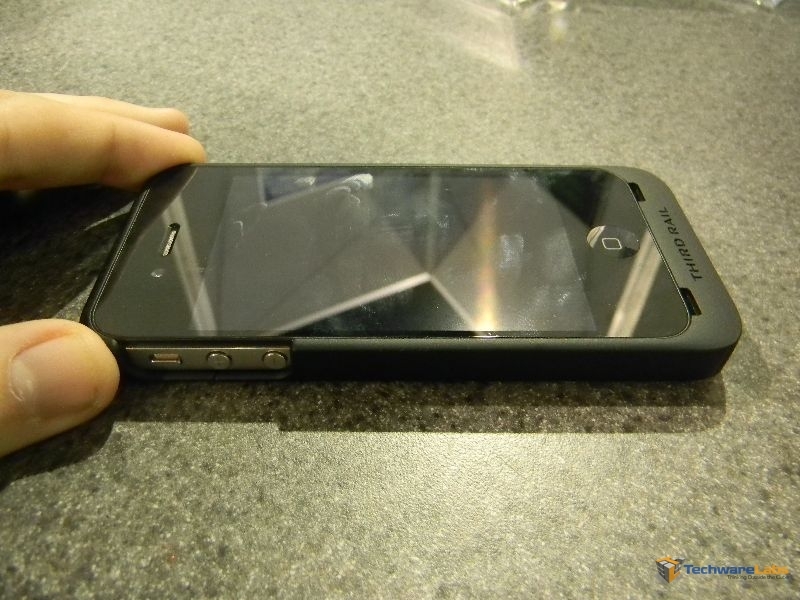 Third Rail introduced us to their case and battery setup for iPhone 4 and 4s. This solution is not your everyday “run of the mill” case and battery. The first part of this kit is the slim case. This case only adds a millimeter or two to the depth of the iPhone and a few more to the height making it very sleek compared to other external batteries. The case features a micro-USB port for both charging and data transfer as well as a on/off switch for the charger. On the back of the case features a microprocessor and charging connection for the external battery pack. The battery pack included with the kit is a 1250mAh (about 70% of a iPhone battery life) is very slim and light. 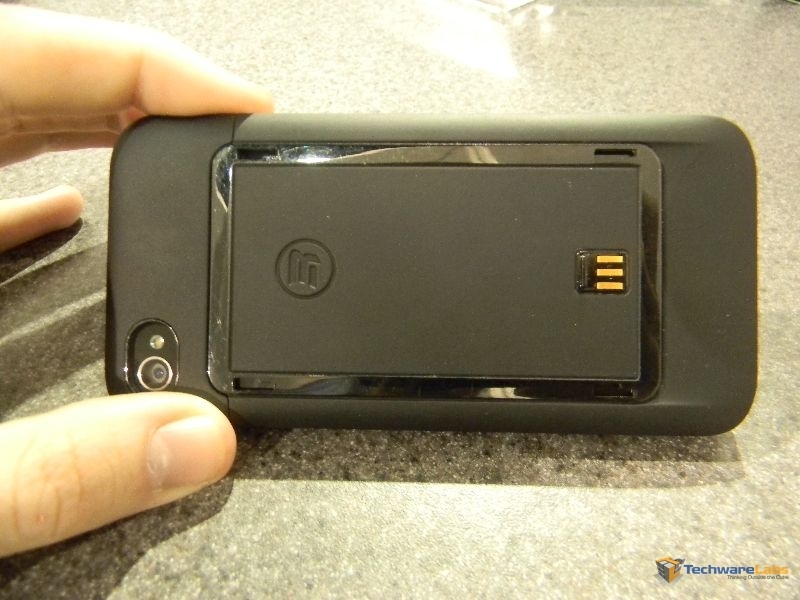 The battery pack clips on to the case itself when you are in need of charging. Where this product surpasses others is the option of stacking batteries on or off of the case to consolidate charges. Also, the batteries itself have micro-USB ports for charging and discharging. 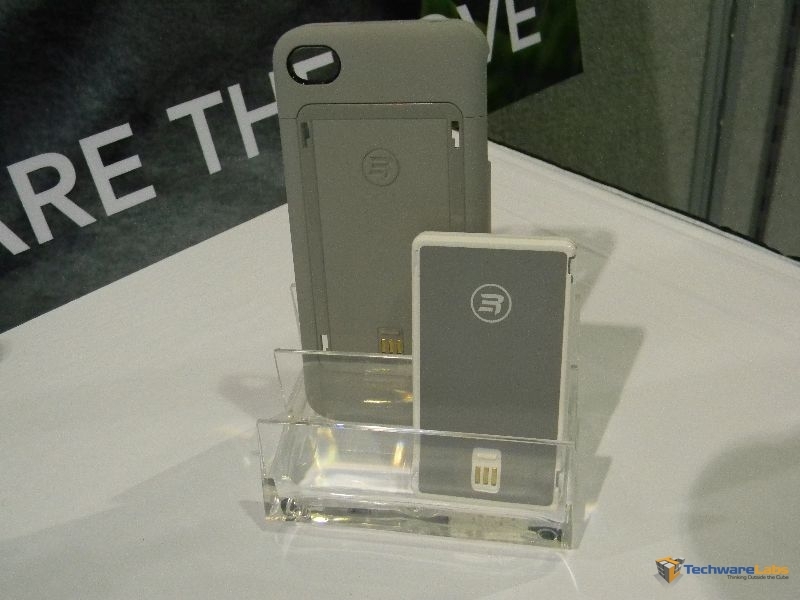 This means that you can charge your iPhone, battery pack(s), and a micro-USB item all at once. Check back with Techwarelabs for the full review!